Carbide End Mills come in many shapes and sizes, in this article we are discussing a Corner Radius Carbide End Mill. There are several reasons why a corner radius end mill would be the tool of choice; but the most common would be for tool strength. 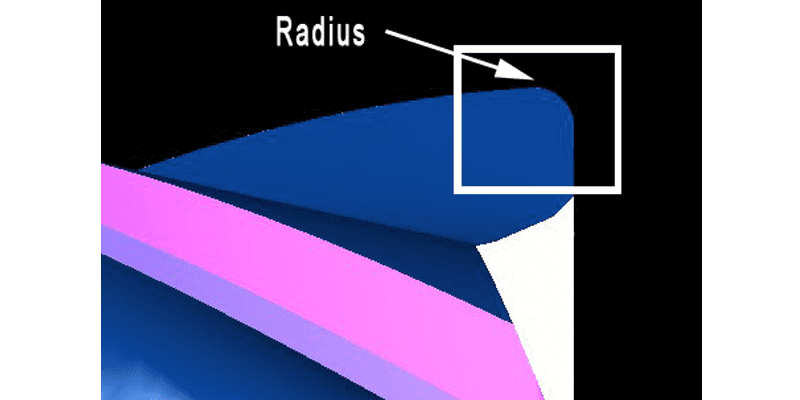 A radius can prevent corners from chipping or breaking down. The corner on an End Mill is the weakest part of the tool. 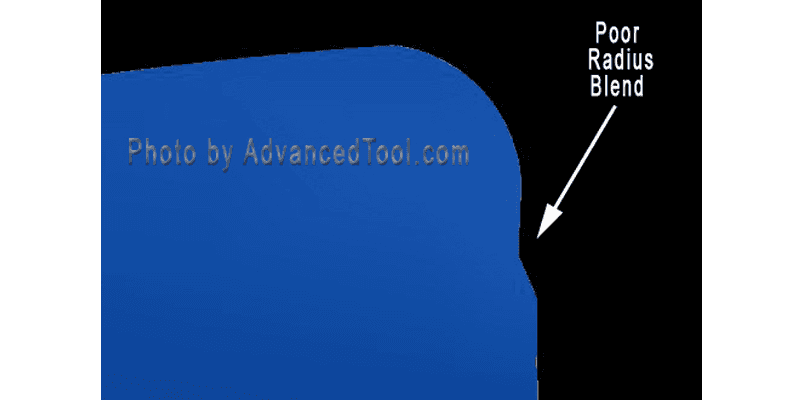 Another common reason for using a radius end mill is that it may simply be a finish part specification or requirement. 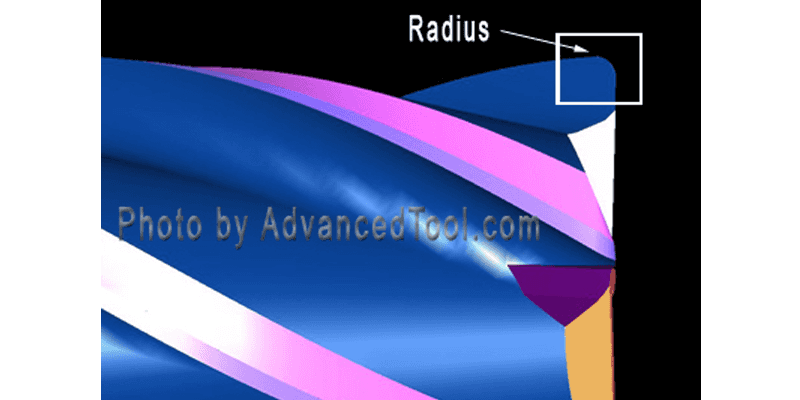 A radius can come in various sizes depending upon the cutting diameter of the end mill itself. Our foundation at Advanced Tool is built on analyzing end mills to make recommendations for improvements to the end user. One of the most common problems we see in the marketplace when it comes to corner radius end mills is poor blending; meaning that the radius in not tangent or more commonly referred to as an “undercut” or “step”. 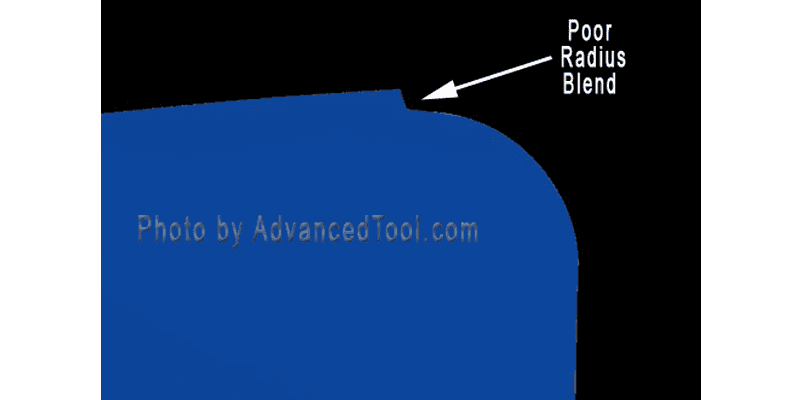 It is critical to have a proper blend because any imperfection with the radius will be transferred directly to the part. This could result in many problems including poor finish, or leaving a line /ridge in the part itself. For this reason, we NEVER recommend adding a radius to a finished end mill. It’s always best to have the end mill manufactured with the desired radius. Below are photos of what you do and don’t want to see when purchasing a Corner Radius Carbide End Mill.